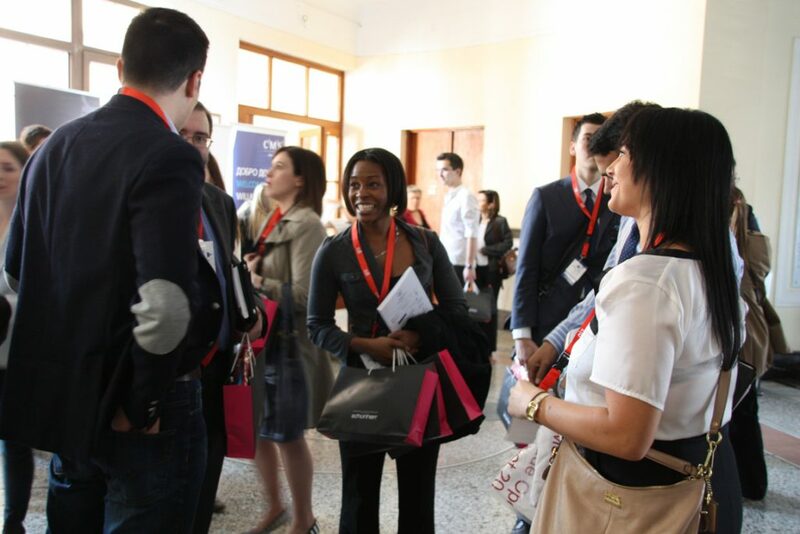 The teams that took part in this year’s preparatory tournament in Belgrade had a chance not only to compete and test their advocacy skills against their colleagues from around the world but to enjoy a full social calendar designed specifically for this occasion. The “Under the Bridge Party” that was a special event organized by Moravčević Vojnović Zdravković in cooperation with Schönherr law firm, occupied the premises of a recently redecorated alternative theater KPGT, right under the new Bridge on Ada – connecting one of the best views in Belgrade with a truly international atmosphere. 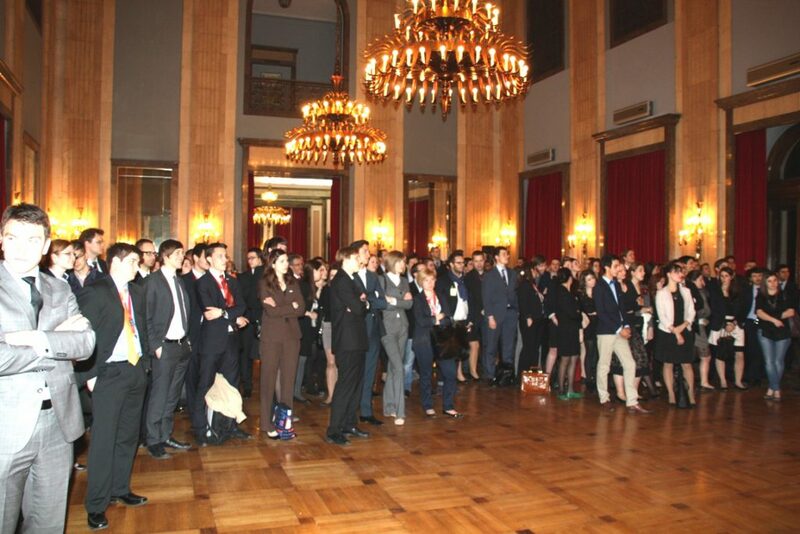 The V Belgrade Open Pre-Moot was officially closed on 25 March 2012 at a formal cocktail held in the Belgrade City Hall, put together by the Tourist Organization of Belgrade. Greeting the pre-moot participants, the director of the Tourist Organization of Belgrade, Mr. Dejan Veselinov has presented some highlights of Belgrade’s tourist riches and offers, and welcomed the guests to our capital expressing his warmest wishes for many to come back and enjoy Belgrade in the upcoming years. Ms Milena Djordjević, a lecturer at the Faculty of Law University of Belgrade, as the General Secretary of the Organizing Committee of the Belgrade Open Pre-Moot, has thanked the Tourist Organization of Belgrade for their generous help in organizing an event of this importance as well stressed our hopes for the cooperation between the institutions to continue in the years to come, bringing more guests from abroad to discover all the great flavors that Belgrade has to offer. After the cocktail at the Belgrade City Hall, all students and participants of the V Belgrade Open Pre-Moot had a chance to enjoy a special atmosphere of Pavle Korčagin restaurant – surrounded by numerous artifacts from the period of the communist Yugoslavia – and sum up their impressions of Belgrade and the pre-moot. The organization as successful as this one, could not have been achieved without the help of numerous institutions and law offices that supported the University of Belgrade Faculty of Law: GIZ Regional Open Fund for SEE, Foreign Trade Court of Arbitration attached to the Serbian Chamber of Commerce, Tourist Organization of Belgrade, law offices Karanović-Nikolić, Moravčević Vojnović Zdravković in cooperation with Schönherr, CMS Reich Rohrwig Hainz and AmCham Serbia. The members of the organizing committee included: Professor Dr. Mirko Vasiljević, Professor Dr. Gašo Knežević, Professor Dr. Vladimir Pavić, Lecturer Ms Milena Djordjević LL.M, Lecturer Marko Jovanović LL.M and Teaching Assistant Uroš Živković, while the numerous student volunteers have contributed immensely to the direct organization of the whole event. 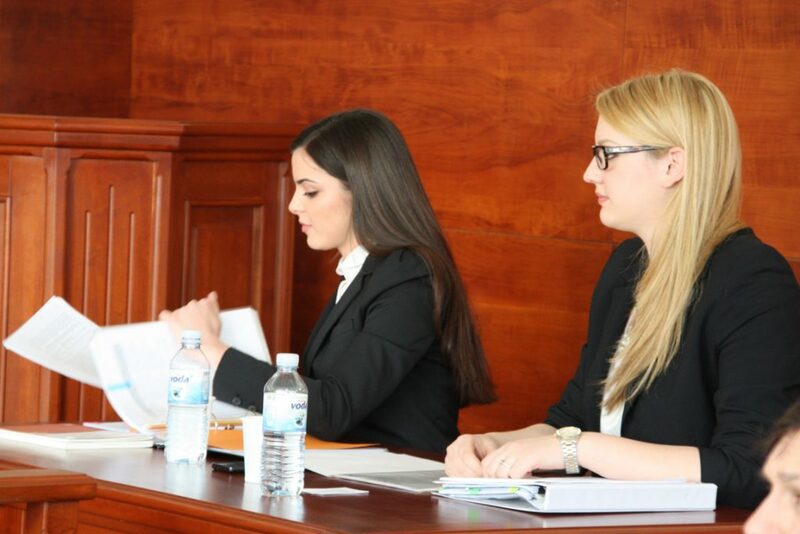 We are particularly proud of the fact that many teams that took part at the Belgrade Open Pre-Moot qualified for the elimination rounds in Vienna (top 64 teams out of 252 which participated this year) and that many of the students who took part at our event received honorable mentions for the best speakers.